Getting married soon? Months of wedding planning and stress will take its toll on your skin. Pamper yourself and prepare your skin for the happiest day of your life with a series of customized peels and facial treatments. Your own spa for the night! We can customize any package just for you and your party. DON’T SWEAT IT – Worried about excessive sweating under your arms, feet or hands? 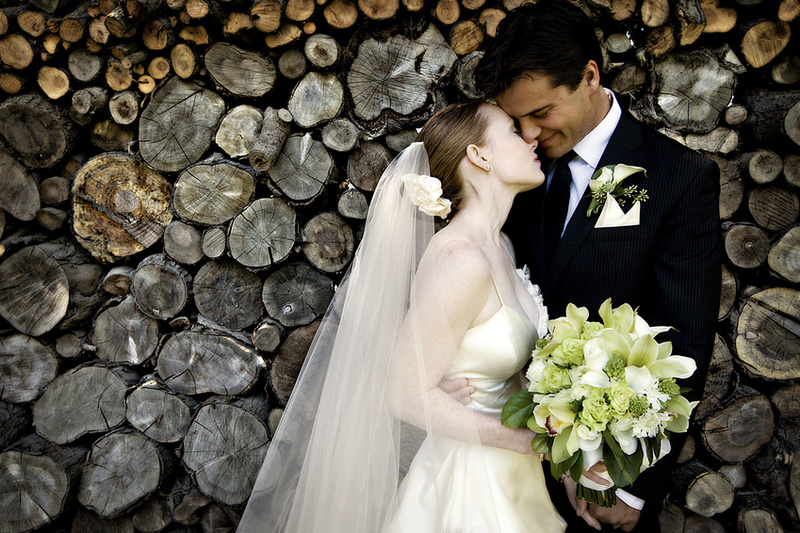 Many Brides and Grooms get Botox for Hyperhidrosis before they walk down the aisle! It really can significantly reduce sweating for up to 6 months. HONEYMOON HAIR REMOVAL – Dramatic results for both the bride and groom! As you prepare for both your wedding day and your honeymoon, feel clean and smooth for your new spouse. We offer Laser Hair Removal for almost any area of your body. Minimum of 5 treatments recommended. 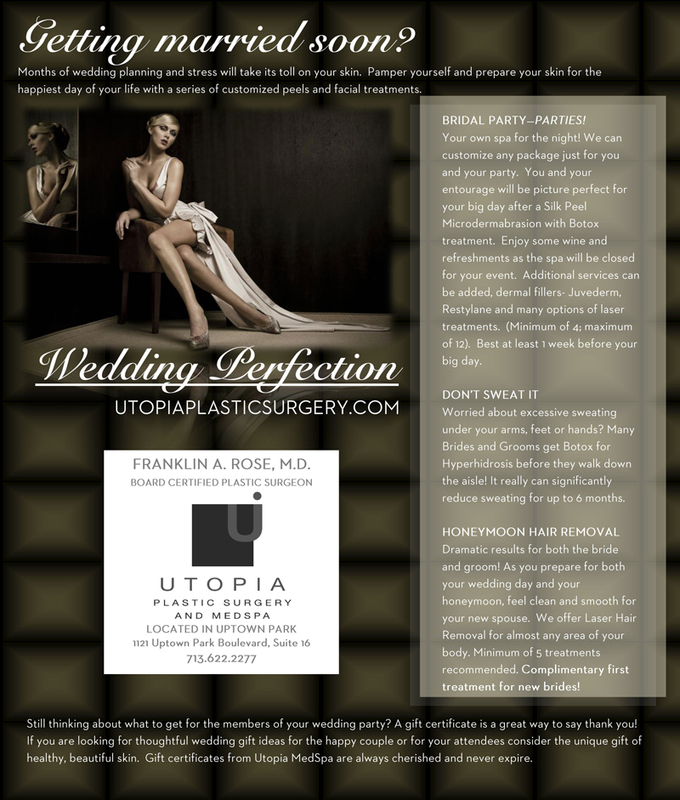 Complimentary first treatment for new brides! Still thinking about what to get for the members of your wedding party? A gift certificate is a great way to say thank you! 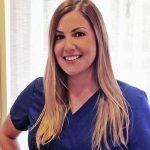 If you are looking for thoughtful wedding gift ideas for the happy couple or for your attendees consider the unique gift of healthy, beautiful skin. 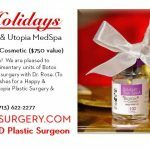 Gift certificates from Utopia MedSpa are always cherished and never expire. LASER HAIR REMOVAL 80% OFF! Fantastic idea for my favorite ladies!!! : D, “Age is a function of mind over matter if you don’t mind, it doesn’t matter.” by Leroy Robert Satchel Paige.